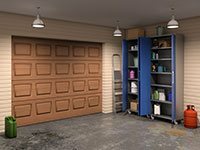 For many people, standard overhead garage doors do not work for their situation. Perhaps you can relate to the need for greater security or wanting more of a say on the aesthetic appearance of your door. Whatever your individual circumstances, Exclusive Garage Door Service can create a specialty door according to your exact specifications. The members of our specialty door team are experts in what they do. You would be hard pressed to find anyone with greater knowledge about the creation, repair, and installation of specialty doors in Fort Worth or the areas surrounding it. Their unique blend of professional skills makes them just the right people to work with from start to finish of your specialty garage door project. When you have an insulated garage door, it gives you the opportunity to turn unused space into an office, workshop, or recreational area if desired. You will be able to stay in the garage long hours if necessary because it will be comfortable and you won’t have to think about the temperature. 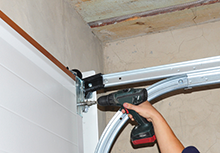 Improved energy efficiency is yet another benefit of garage door insulation. 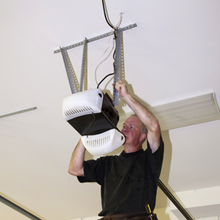 If you have an attached garage, it has an effect on your entire home or commercial building. Exclusive Garage Door Service has a wide variety of door styles and types for your consideration. A fire door is a small investment that offers a huge level of protection. Garage fires are common due to flammable materials like gasoline and paint that people store in them. That is the bad news. The good news is that adding a fire door can prevent a small spark from turning into an out-of-control fire and contain a larger fire long enough for help to arrive. Unfortunately, all that is required for a fire to start is a spark or fuel leak on any heated surface in the garage. When your garage faces direct sunlight, the risk is even greater. Since many garages are directly connected to a residential or commercial property, a fire that originates in the garage can engulf the rest of the home or business within minutes. Every fire door comes with a rating that helps consumers determine how well it resists heat up to specific intensity levels as well as stops flames. The design of most fire doors means that they can resist small flames completely while significantly slowing the progression of larger flames. Anyone could benefit from that kind of protection. The collective results of having a fire door installed have been well-documented over the years. Because of this, city governments across the country have started writing requirements for fire doors into their building codes. The documents state that any new home or commercial structure must have a fire door that can resist heat and flames for at least 20 minutes. 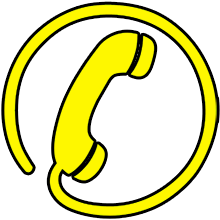 The time is important because it allows people to get away from the fire and call 9-1-1 for help. The high-speed garage door is one the best-selling items at Exclusive Garage Door Service. Buildings that see a lot of traffic each day, such as hotels and office complexes, need a garage door that will open quicker and at a higher frequency than the typical door for a single-family home. A traffic-optimized garage door meets this need. For those concerned about noise, the deluxe model has built-in noise reduction capacity.